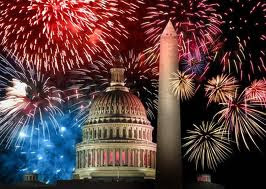 Telemachus: Want A Real 'Independence' Day This Year, July 4, 2013? Want A Real 'Independence' Day This Year, July 4, 2013? Consider throwing your incumbent Congressman and Senator out of office in 2014 who has voted time and time again to saddle us with a 1935 version of 'dependence' that has not kept up with the times: Social Security. Replace them with someone who will vote for the greatest economic freedom and independence package the world has ever known for each and every American citizen, young and old. 'The New Great Deal' that really is one and doesn't just pretend to be. You would, or should call, write and email the SEC and the FTC in Washington immediately to report these guys as insane idiots who are trying to pull a fast one on you, the typical American financial consumer. Well, guess what? Those 'carny barkers' are your elected representatives and senators who have steadfastly refused to improve and modernize the Social Security System in America for the past 78 years. They know that this is true but they are afraid of the AARP revving up the senior population against them in the next election if they even mouth the words: 'Social Security Reform'. Granted, there have been a few very brave souls who have jousted with the AARP and Claude Pepper and Nancy Pelosi and tried to talk some sense into them about how SS is actuarially out of balance and how it is already running a current year deficit since 2009. There were not enough of them to win, sad to say. 'It is the greatest thing in the world!' these yay-sayers such as Nancy Pelosi still say. 'Don't touch it or else we will drive you to an early political grave!' they threaten. Take a cold hard look at the facts and decide whether they are right or not. Or just simply are so dense and thick in the head that they can't see where the current SS system is keeping people at or near poverty in their golden years when the 'New Great Deal' could make millionaires of them all. In 2012, the average Social Security benefit ran just over $1,200 a month. For that, you are taxed 12.4% of your take-home pay from your first day of work until your last. All but a small group of high-income workers pay that tax on nearly 100 percent. Compare that to this: A married couple, each earning ten dollars an hour and investing only 10 percent of their earnings at a modest 5 percent return, retires with an annual income of about $50,000 a year—assuming they never touch the nearly $1 million principal they will leave to their children. That 5 percent is conservative: The average inflation-adjusted return on the S&P 500 since 1950 has been 8.62 percent. Assuming an 8 percent return gives the theoretical couple above nearly $3 million for retirement. Most important, such pensions would be heritable—enabling the building of multi-generational wealth in communities in which that currently does not exist. Solving the problem of poverty among the young begins with solving the problem of pensions for the old. We can do that for less than most Americans are paying in Social Security taxes today. $50/week starting from birth produces a retirement nest egg of $1.6 million at 5 percent returns, or $5 million at 7 percent returns. Let's face it: We are not living in the 1930's, 40s, 50s, 60s, 70s, 80s, 90s, or even the 2000s any more. We have to have a modern retirement system reflective of the times. We also need to start using the power of compound interest and economic growth to help every American build the real wealth needed to retire and then pass on to their heirs on which to build more wealth and real economic security. Let's start today. Let's start a 'Second Revolution for (Economic) Independence' that our children and future generations will celebrate the fact that we had enough brains and guts to start when they set off fireworks on July 4, 2062.